Ryokan Misato is a small quiet ryokan with only 12 rooms located high up in the Kurokawa hot spring resort. 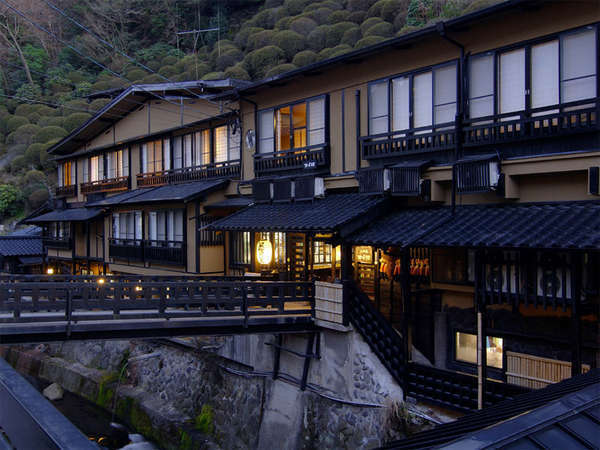 The ryokan offers good views, delicious homemade meals and milky-white sulfur hot spring water. 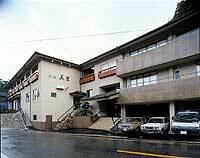 Yamano-yado Sinmeikan is located at Kawabata-dori in the center of Kurokawa hot spring resort and full of people. It is a long-established ryokan from the Meiji era and is a reminder of more simple times. A peaceful inn situated on the Chikugo River, this ryokan blends tradition and modern trends.